What could be better than playing a tower defense game that has great gameplay and provides us hours of entertainment? How about a tower defense game that is themed off of one of the best arcade games from the days of the NEOGEO that still provides all those things? Metal Slug Defense has just released onto the play Store a couple days ago and it is definitely a game to check out if you either love tower defense games, or are a fan of the games from the Metal Slug series, or both. Metal Slug Defense gives you classic tower defense style action set in the Metal Slug universe, so there are tons of memorable characters that any long time gamer should be familiar with. There are over 60 units and playable characters available throughout the game, but you will only start off with the regular army units that you play in the regular Metal Slug games. All the familiar characters are here. Marco, Tarma, Fiolina, Eri, Gimlet, Red Eye and tons more as Morden’s soldiers join up eventually. Hell, even the SV-Camel is unlockable. It should be noted though that some of the characters which are limited, are only available through certain conditions or by completing rare events. Once in a while there will be challenge levels that pop up for a limited time, and you will see a timer pop up that lasts upwards of 45-50 minutes to complete the 4 missions within. This is where those limited units can come from. Metal Slug Defense goes heavy on the nostalgia, giving you more than 100 classic Metal Slug stages as the backgrounds for the missions, making this feel like a true Metal Slug game. Even all the audio is on point, with the mission start, and mission complete sounds taken directly from the other games, as well as plenty of other sound effects that might spark a memory or two. As soon as you finish all the regular campaign mode missions, you can play against other players via the Wifi VS battles, which allows you to play ranked missions or against friends that you have circled in Google Play Games, meaning you can send out invites to those in your list. For all that this game has to offer it is one of the best free games I have played in a while, and despite what the comments might be saying on Google Play, it is fully playable without having to spend a dime on IAP. The game may get hard towards the end, but Metal Slug games were hard back in the day. They weren’t a complete cakewalk the whole way through. Pick up Metal Slug Defense for free on the Play Store. 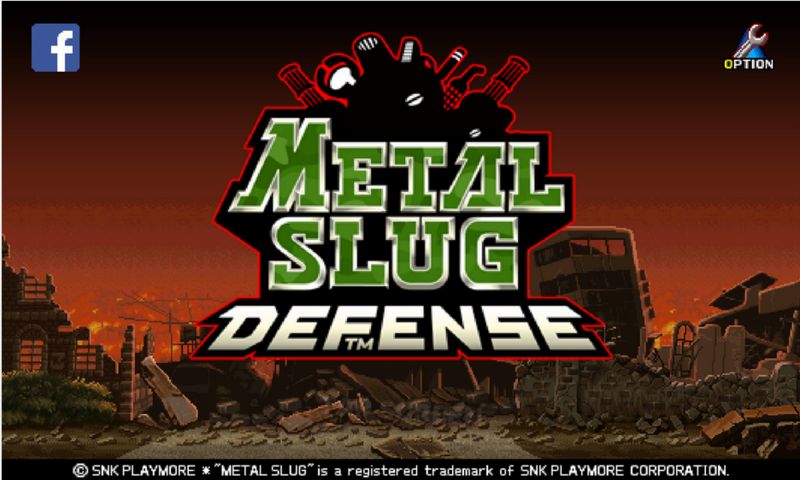 The post Android Game Of The Week: Metal Slug Defense appeared first on AndroidHeadlines.com |.